On Saturday and Sunday 19th and 20th May 2007 the Methodist Church in the High Road, Langdon Hills celebrated 100 years of worship on the site. 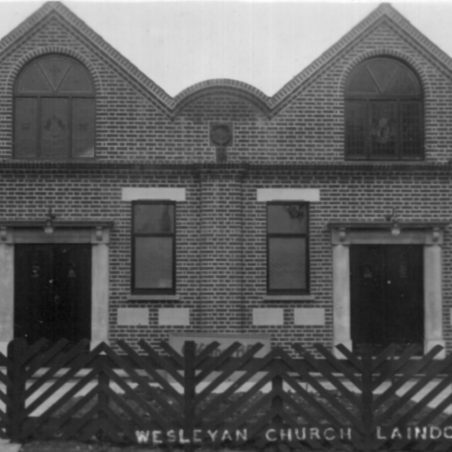 The history of the Methodists in Langdon Hills however, goes back further to 1902, when new ‘Settlers’ were moving into the two new estates that straddled the railway line. A large proportion of these new settlers were Nonconformist who were shocked to find themselves in the country without a Chapel, Mission or Sunday school, other than the Parish Churches of Langdon Hills and Laindon. One of the new people, Mr J. C. Young in desperation approached Harry Foulger. Foulger was a local entrepreneur, who had spotted the development opportunities available in Laindon and Langdon Hills. The 1901 census has Foulger living at Nightingale Farm, Lee Chapel Lane and his occupation was that of a Land Benefactor. To us an Estate Agent, who also owned land in Langdon Hills and Laindon. By 1910 he was living at ‘Greenhaugh’ Laindon on the corner of the High Road and St Nicholas Lane. Later to be known locally as ‘Hiawatha’. Hiawatha in the 1930s through to the 1960s was to become the home and surgery of local doctors. Doctors Henderson, Long and Millwood to name a few. Harry Foulger, in the first two decades of the twentieth century, was not only selling homes but also plots of land for self-build. He was obviously aware that with the influx of new people, there would be a requirement for a hall. So he had built “The Nightingale Public Hall” and offered to rent the place for Divine Worship. Mr Young with the help of Messrs Tatum, Diprose, Hayes and others, founded a non sectarian Mission, which was opened in December 1902, followed at once by the first Sunday school. 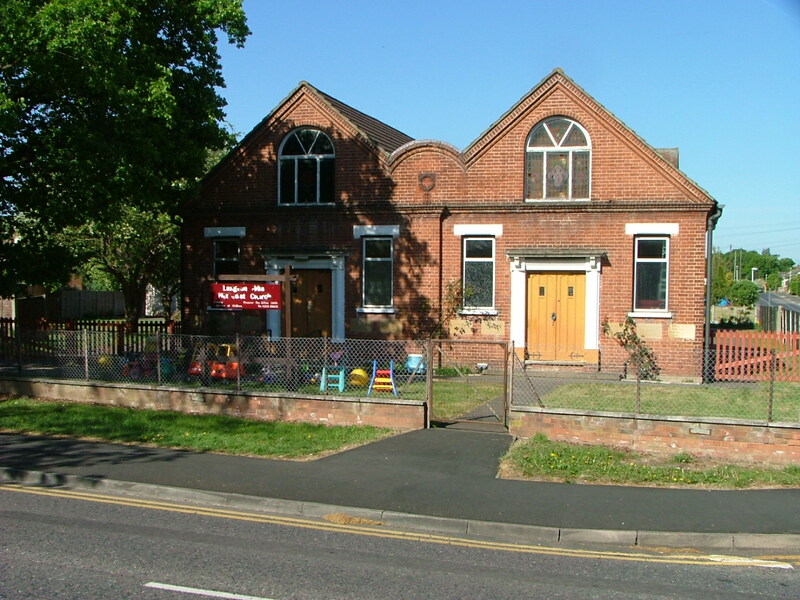 We believe that this hall was the one that became known as the Baptist Hall, next to the Nightingale parade of shops, opposite side of the road to the current Methodist Church. 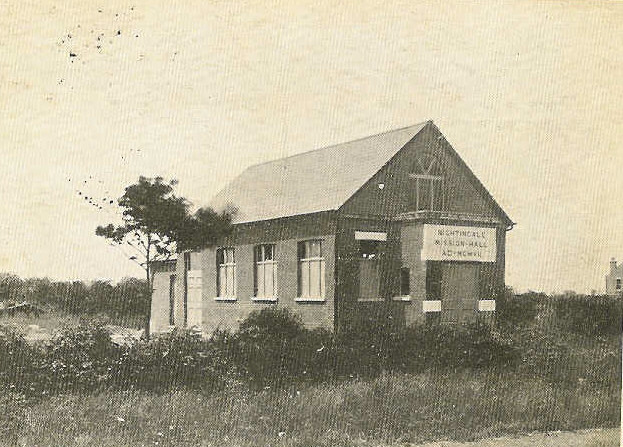 There is no doubt there was a need amongst the new pioneers for a form of worship divorced from the recognised Church of England and in July 1903 Mr Young gave notice to a meeting of an application to the Wesleyan, Congregational and non sectarian churches to undertake the running of the mission. 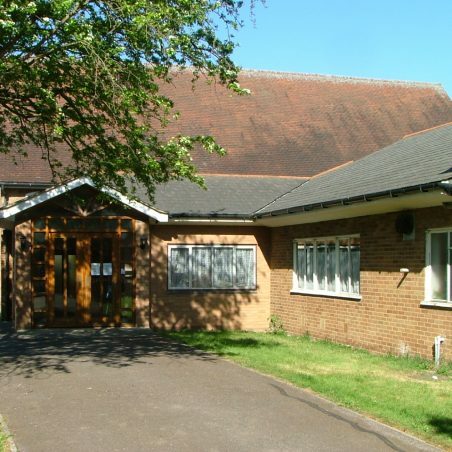 Later in the year the “The Nightingale Mission Church” was formed and for many years afterwards, members of the sister Mission at Manor Hall in Laindon joined the Langdon Hills congregation for monthly Communion Services. In 1907 a new site was secured on the opposite side of the High Road to the Baptist Church and on the 1st April 1907, a stone laying service took place. The stone was laid by Isaac Levy. Then, in June, the New Nightingale Mission Church was dedicated by Rev. W. S. Walsh and its first minister was the Rev. George Mitchell. Langdon Hills and Laindon, in the years that followed the Great War and up to the Second World War, saw an even greater increase in the population than previously. The village expanded along the High Road from the New Fortune of War over the railway bridge up to the Methodist Church and by the time the Basildon Corporation appeared in the 1950s there was around 140 shops, a real bustling little town. 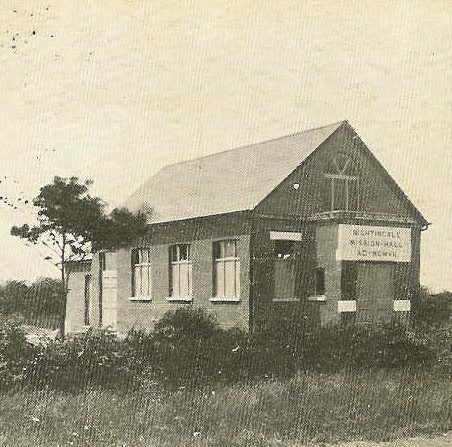 The Church obviously grew at this time and by 1930 it was clear that an extension was necessary to cope with this growth. 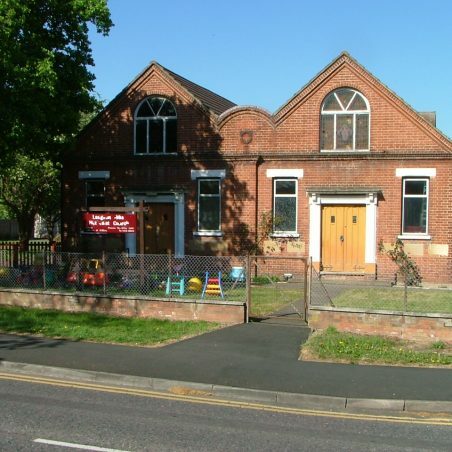 A scheme was finally accepted by the Trustees that double the seating capacity of the Church and providing accommodation for extended Sunday school and Young People’s activities at an estimated cost of £930. 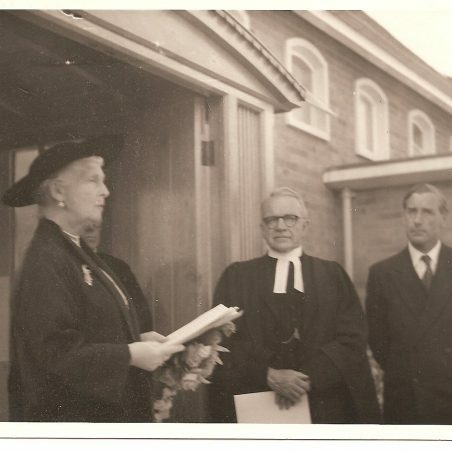 On Saturday, 19th June 1932, the service for the Laying of the Foundation Stones of the New School Chapel was conducted by the Rev. R. Whittaker, Superintendent of the East Ham Circuit. Nineteen stones were laid, with the first being laid by Mrs Levy. 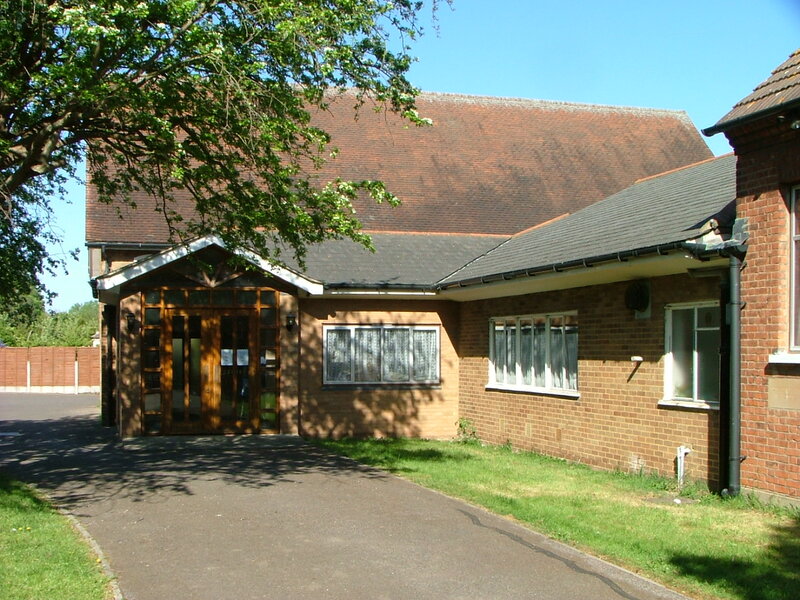 After the Second World war, with the expected growth of Basildon, it was decided that a new church building and house for the minister were required. They were built during the ministry of the Rev. L Babb. 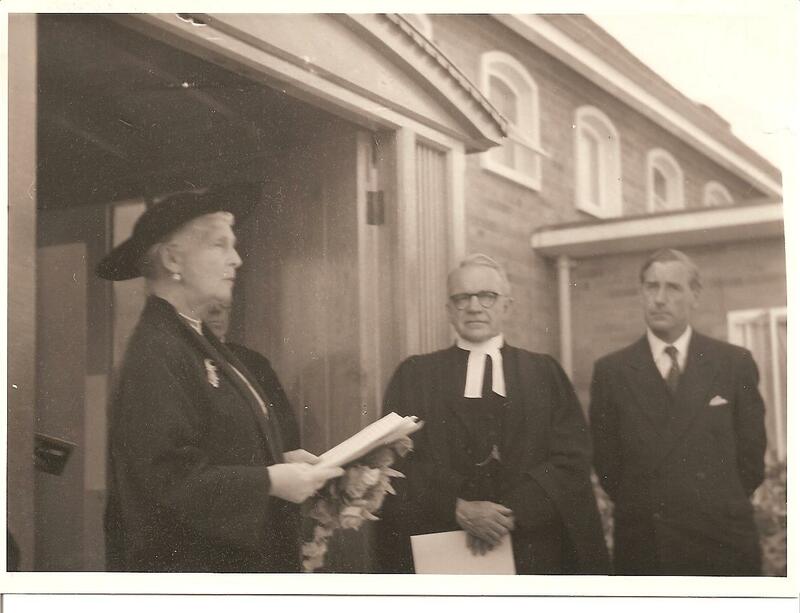 The stone laying service was on the 7th January 1956, which was conducted by the Chairman of the District, Rev. Beckford. 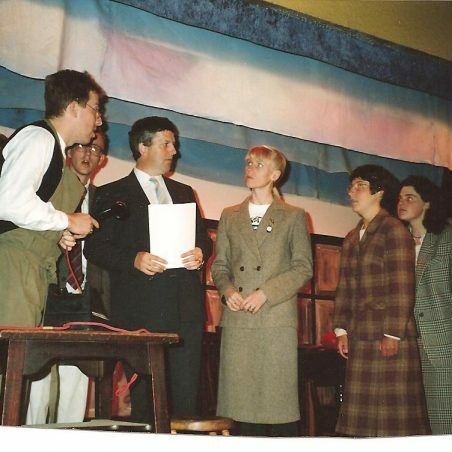 On the 8th September 1956 Her Royal Highness, Princess Alice Countess of Athlone opened it. She was given a guard of honour of scouts, guides, brownies and cubs. Following the service the Princess was escorted to the Primary Room where tea had been prepared. It was not long afterwards that the congregation began to fall, the cause being the ‘run down’ of Langdon Hills shopping area, the destruction of the many homes especially the Victorian houses on the opposite side of the road to the church and families moving away because they did not want to be part of the Basildon New Town experiment. The whole social structure of the area changed and though there are now well over 3000 homes in the area there is no real centre. The church congregation is around 50 well below the dizzy heights of the 1940s, 50s. However the ministry is still strong and though a number of the activities have ceased others have taken their place. 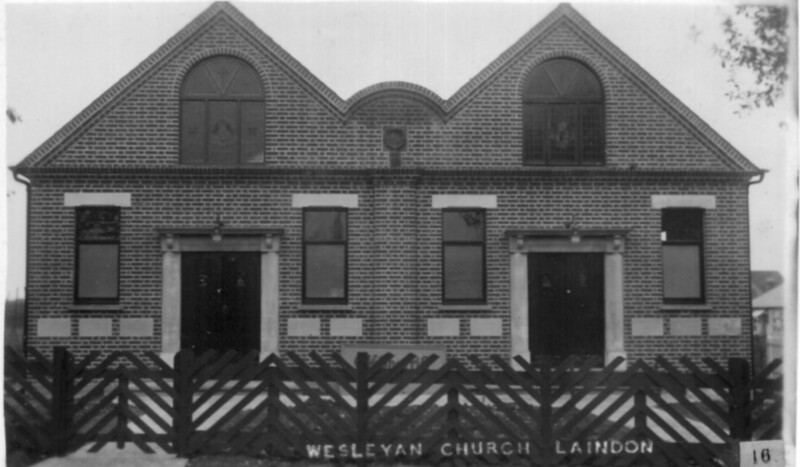 It is a real shame that not more people involve themselves in the facilities offered by the churches of Laindon and Langdon Hills; if they did, the community spirit that disappeared with the development of Basildon might just re-appear. Mr.J C Young (Jung- of German Wesleyan family) was my great-grandfather, thank you very much Ken Porter as I never knew him but have researched his life and family members concerned and have their photographs.. I have also now seen the picture of the memorial stone to JCY at the Methodist Church. 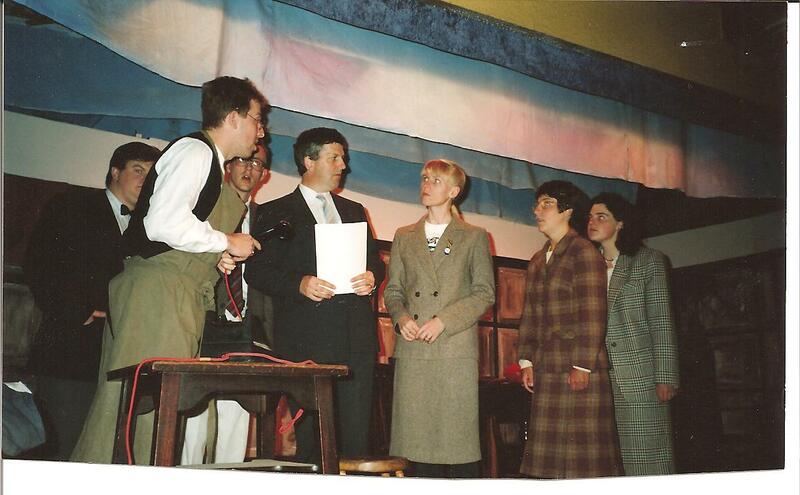 My mother Mrs L F Norman was the first Girl Guide Captain, my father Alec Norman helped to run the Boy Scouts. My mother made the first uniforms on her Singer sewing machine.